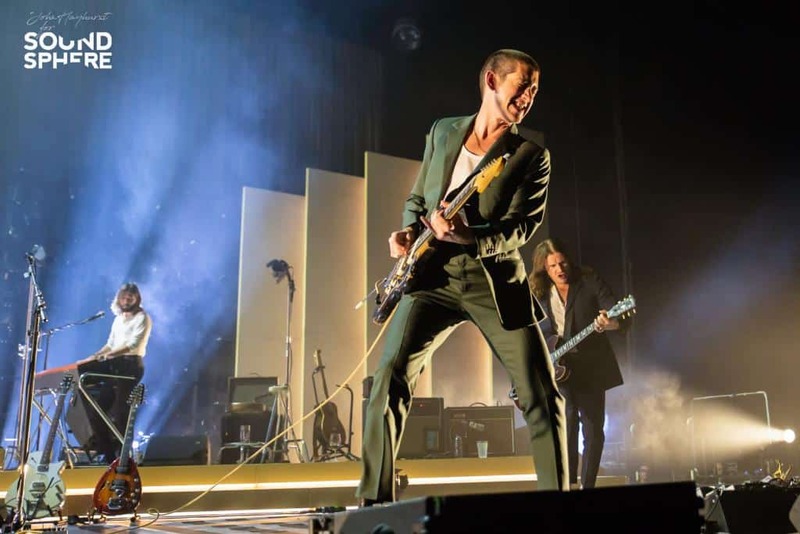 It has been close to five years since the Sheffield lads from High Green have played their hometown, and tonight is the start of a four-night sold out run at the Arena. A far cry from the Grapes pub in Sheffield which saw their first performance in June 2003 and my first Monkeys experience at the Certificate 18 club in York on Nov 25th 2004. That night I picked up a bootleg CD of raw demo songs that mostly made up their debut album ‘Whatever People Say I Am, That’s What I’m Not’ for a fiver. The album went on to win the Mercury Music Prize and is still in The Rolling Stone’s Greatest 500 Albums of all Time and ranked 30th in their Greatest Debut Album of All Time. 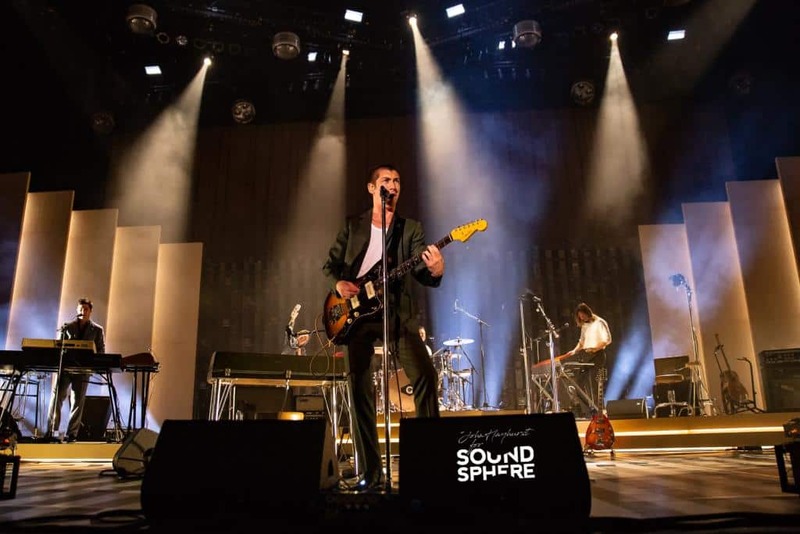 Their latest opus – ‘Tranquility Base Hotel & Casino’ has been the most fan divisive, and whilst it still sold well and went straight into that coveted No1 spot on release day, it hasn’t since received the same plaudits and comments. A change of mood, much more lounge lizard piano-based style and for many die-hard Monkey fans, they have stepped so far over the mark that you can’t even see a trace of adidas footprints in the ether. The shows were already sold out before the album was released, so most people here are probably hoping they keep the new songs to a minimum and that the live show will be more of a hits-based package. Well we weren’t disappointed totally, of course you would expect a few classics missed and a few new songs to be played, that’s the joy of witnessing a popular band with million selling albums in their portfolio. However, it’s the live spark and style that has drastically changed to a more relaxed and comfortable wine and cheese party, than the sweaty lager and chips gigs of yesterday. 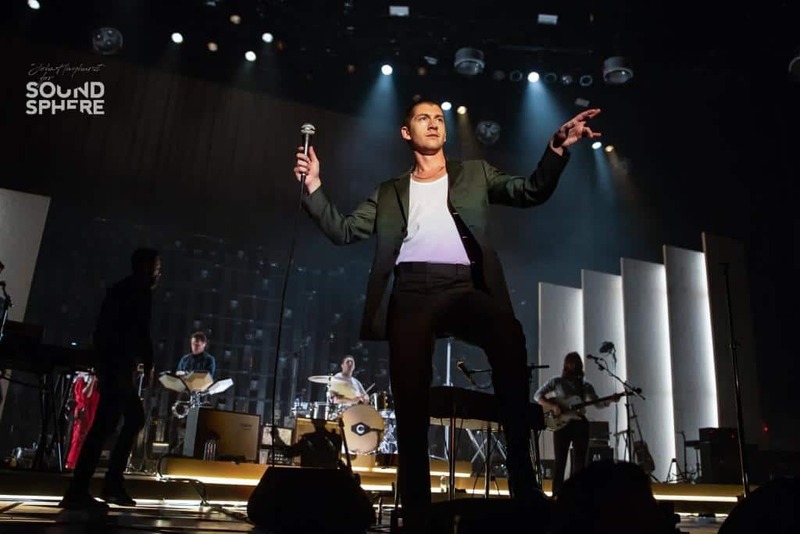 On stage it’s pretty much the Alex Turner show, the remaining band and live extras are mostly kept in the shadows as he parades around the stage suited and very shiny booted, swapping a few choppy guitar riffs for piano slumber or gesticulating rabidly towards the crushed throng of fans at the front mouthing every word. 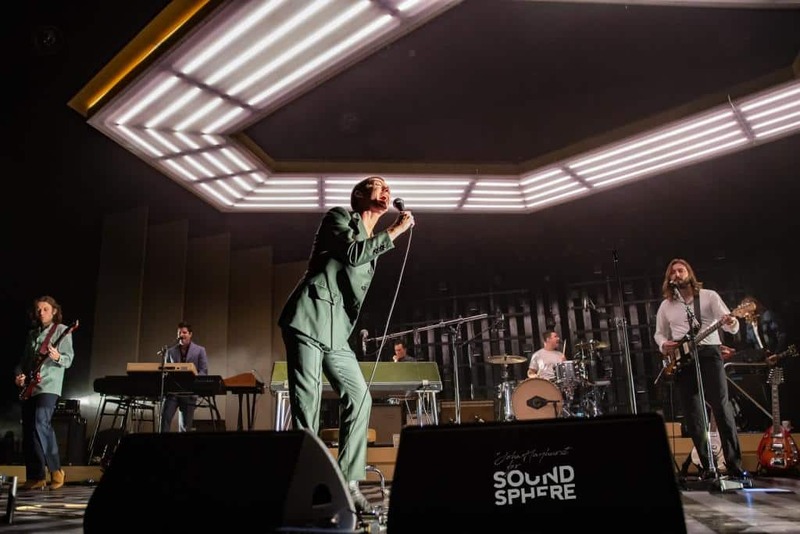 It starts as a laid-back affair with probably the best track from their latest album ‘Four Out of Five’ and then after Turner screams “Sheffield – I ain’t seen you in ages” in a broad South Yorkshire accent they thunder into ‘Brianstorm’. Expensive two-pinters are tossed into the air and the bouncing can begin. Shrewdly they space the crowd pleasers apart so as not to offend and send 60% of the seated audience to sleep. 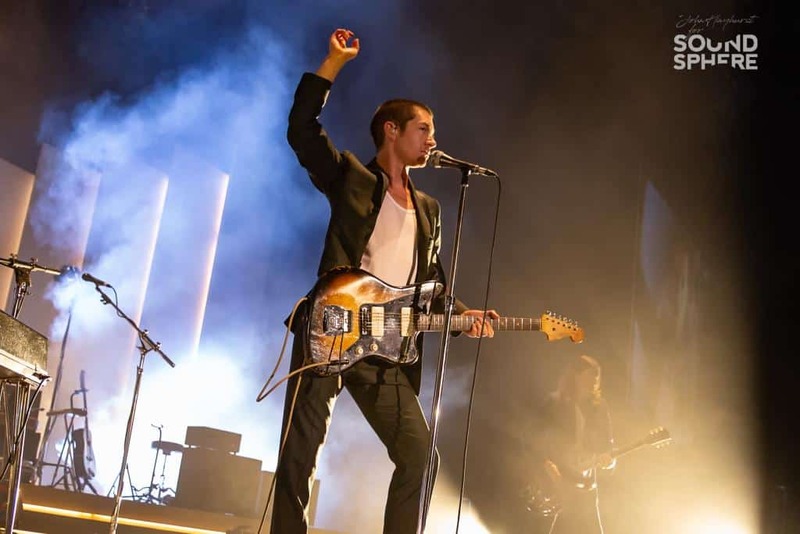 That said during the interlude and Tranquility Base tracks, a steady stream of people could be seen going downstairs to the bar areas and toilets. As the evening progressed you realise it was actually a fairly rounded setlist with plenty from the AM album and as ‘From the Ritz to the Rubble’ starts, the years and gloss dropped away to reveal a pure sound and raw talent not seen together on stage for a long time. Beads of perspiration on Turner’s forehead showing his determination to transfer his efforts through to the front populous who are already well drenched in any remaining beer and sweat. Then a dirty version of ‘Why’d You Only Call Me When You’re High’ which seemingly had more depth than the recorded version. 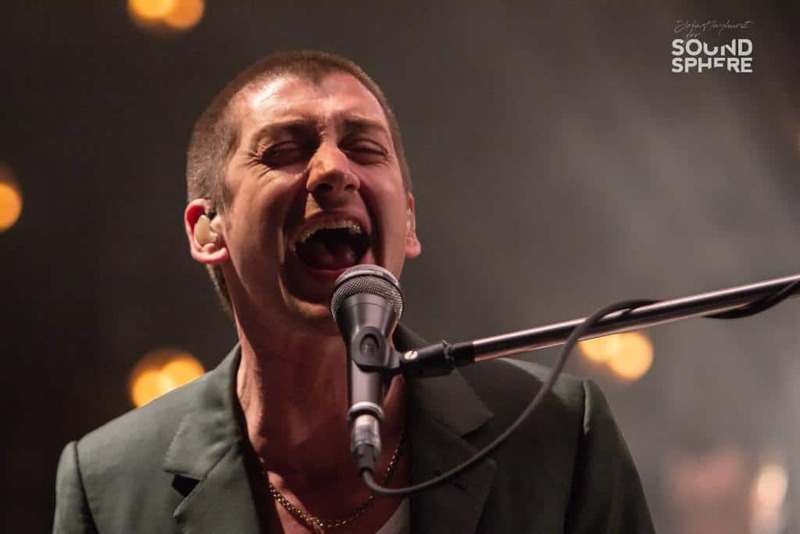 Alex Turner then does the ultimate tease by playing the intro to ‘Fluorescent Adolescent’ on the piano, the crowd drowning his vocals out by singing back every word. “You used to get it in your fishnets, now you only get it in your nightdress” for some fans is now an analogy of their musical progression from raw stripped-back passion, to a more comfortable lounge blandness – other than a strong live performance, they are now seriously lacking Tabasco in their Bloody Marys. Some significant bangers were missed from the list tonight, but it appears they will spread them across the four nights at the Arena, can’t have them all in one show!. 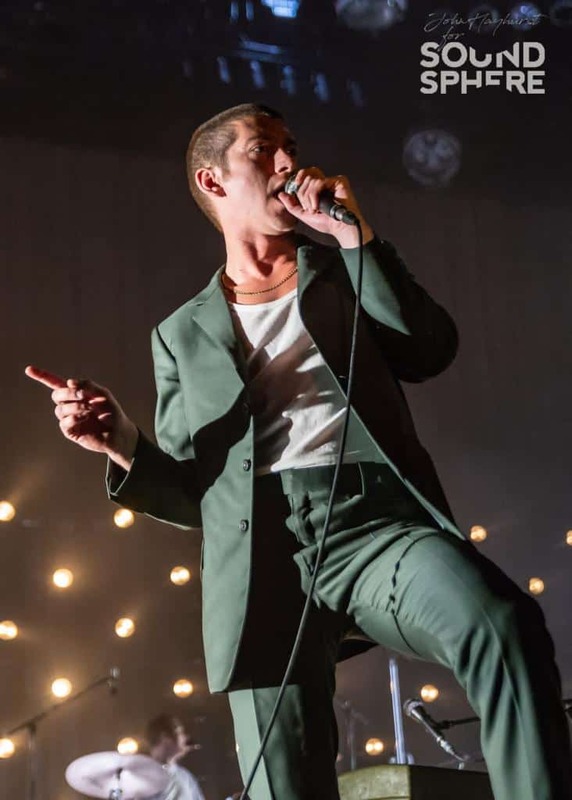 The heat is turned up again during ‘Pretty Visitors’ with Turner on his knees during the chorus and then ‘Arabella’ rounds off the set with some impressive high kicks from the main man. The light show is a triumph with a huge hexagonal strip lighting rig descending for encore ‘Star Treatment’ when Turner proclaims that “I just wanted to be one of The Strokes”, well I saw Albert Hammond Jr last week in Manchester and he was playing in the Club Academy basement to about 100 people, I’m sure he wouldn’t really want to be swapping places with him anytime soon. 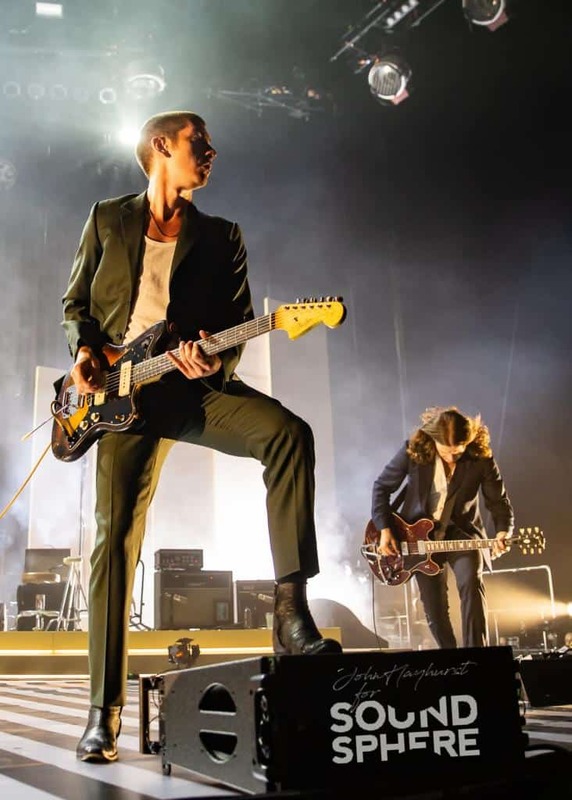 Leaving their original hit ‘I Bet You Look Good On The Dancefloor’ and a stonking ‘R U Mine’ for the final encores, the band leave everyone here with a vision of the spectacular, but an accompanied disgruntled inner voice listing the many songs they didn’t play. 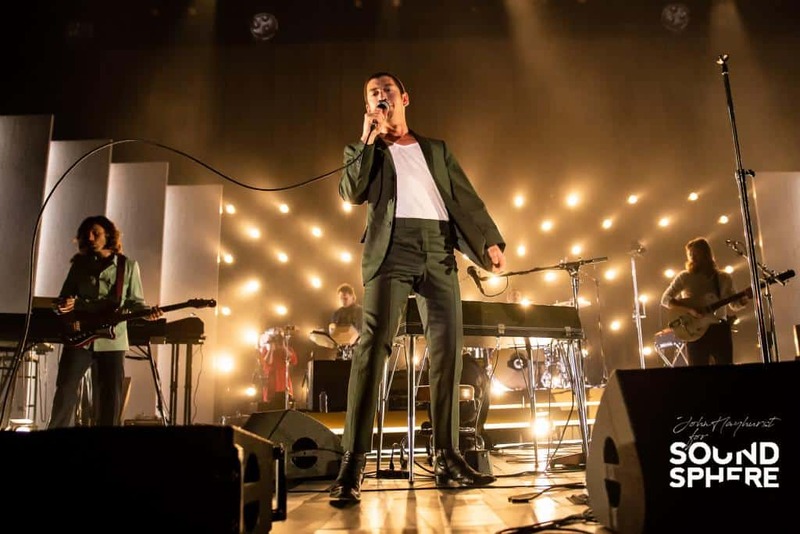 The tour is definitely worth seeing, it has been too long since they graced a UK stage, and more than appropriate for ‘four stars out of five’ review. ENCORE: Star Treatment / I Bet You Look Good on the Dancefloor / RU Mine?